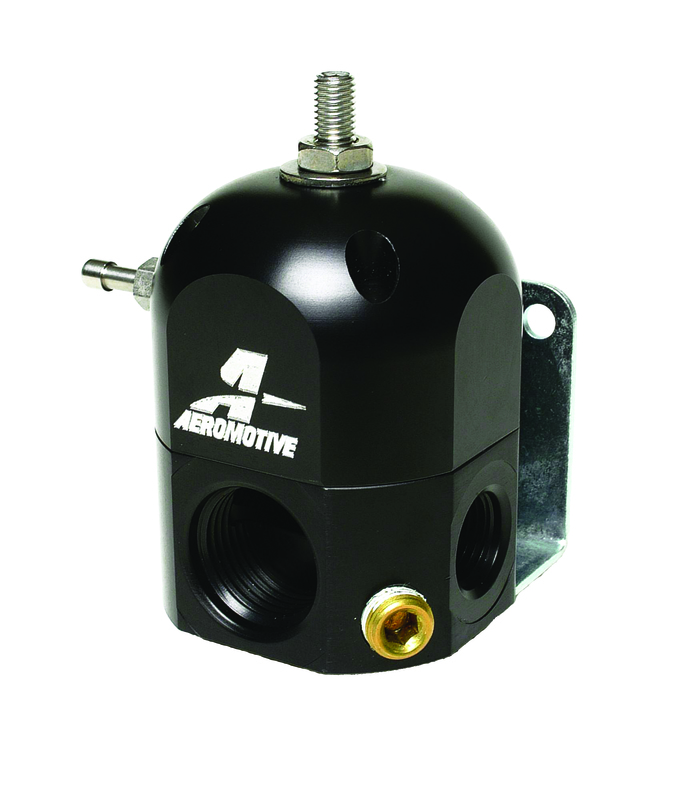 Base fuel pressure adjustable from 3-15 PSI (1) ORB-10 inlet port and (1) ORB-8 return port. (2) ORB-6 outlet ports and 1/8' NPT gauge port. Fuel pressure rises on a 1:1 ratio when referencing boost. Marine Carb 2-port bypass regulator; Base fuel pressure adjustable from 3-15 PSI (1) ORB-10 inlet port and (1) ORB-8 return port. (2) ORB-6 outlet ports and 1/8' NPT gauge port. Fuel pressure rises on a 1: 1 ratio when referencing boost.